Terror are coming back to Europe with their Total Retaliation Invasion Tour. 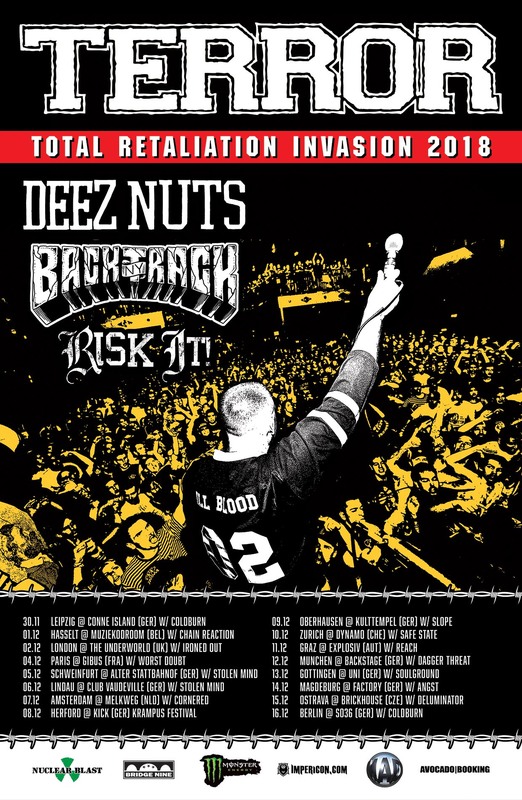 Bringing with them Deez Nuts, Backtrack and Risk It as well as some more awesome bands. Better not miss this!